From Susan Gruber, at Our Lady of Peace Kindergarten in Columbus, OH. 1) We slid a piece of cardboard into each bag that I bought from you (our CAN 501)! 2) I squeezed permanent paint that comes in a tube on the hands of the children. 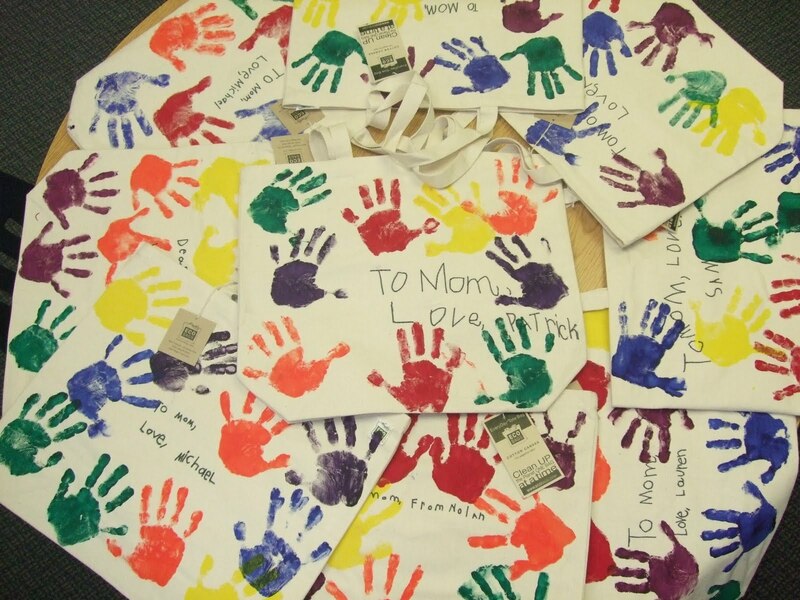 3) The children briefly rubbed their hands together and chose where to place the hands on the bag and pushed down. 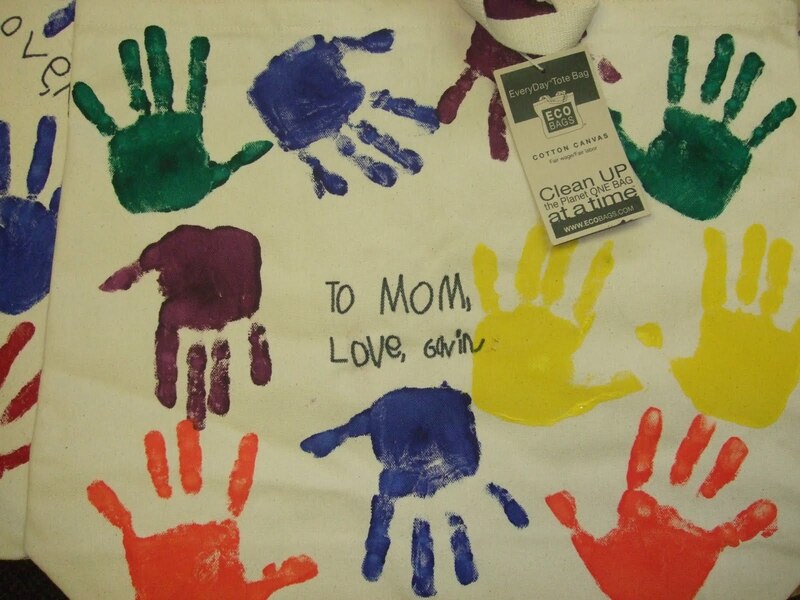 4) I gently massaged their hands down to be sure to get as much paint on the bag as possible. I had a dishpan of warm soapy water nearby. 5) The children washed up, dried and chose another color until the side was complete. I began doing this three years ago. The mothers love them and they wash beautifully. They have been used for a yarn bag, pool equipment bag, a school bag for a teacher and of course a grocery bag! I searched and searched until I found one that was big enough to be useful and perfect for hand printing! They are each unique! The quality of the bag sets them apart!